The loss of a loved one is often the toughest day in a person’s life, and it is this deep sense of loss that drives a need for routine on the days afterward. 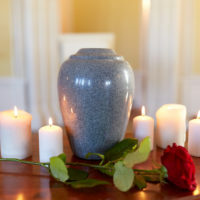 If the funeral home makes major mistakes, or acts recklessly in handling your loved one’s remains, it can not only be inconvenient, but traumatic. If you have experienced this horrible situation recently, it can be overwhelming, but an experienced and compassionate funeral home negligence attorney may be able to help ensure that mistakes and lack of respect are held accountable. Any other conduct that fails to give the deceased the respect they are entitled to. In some cases, if the funeral home’s conduct was particularly extreme or outrageous, you may be entitled to what are called punitive damages, which are damages granted to a plaintiff for the express purpose of punishing the defendant. This would only apply in cases where truly malicious or outrageous mistakes were made. Depending on the type of mistakes that were made by your funeral home, you and the family of your deceased loved one may be able to recover certain types of damages. Florida law recognizes two types in most cases – economic and non-economic damages (punitive damages are quite rare). Economic damages are those which are tangible and can be counted simply by adding numbers on bills – for example, the family of a deceased person might seek economic damages if a coffin was broken, or if the funeral home mislaid personal items of the deceased’s. Non-economic damages are much more difficult to estimate, because they are awarded in recompense for wrongs which are hard to quantify – the most common cause of action remedied by non-economic damages is pain and suffering, which has no fixed number. Other examples include loss of companionship, loss of quality of life, and mental anguish. All of these are very real injuries that people suffer, and in the event of funeral home negligence, they may conceivably experience them all at once. Having an experienced and understanding legal professional on your side can help shoulder a burden that you should never have to bear to begin with. The loss of a loved one should be a time where you do not need to worry about anything else except getting through the difficult process of saying goodbye. If a funeral home is negligent or reckless in their duty in facilitating that process, it is imperative that you find a knowledgeable attorney who can help hold them accountable. The Tampa funeral home negligence lawyers at the Rinaldo Law Group will try to assist you with understanding and compassion. Contact us today for a free consultation.